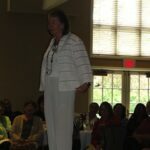 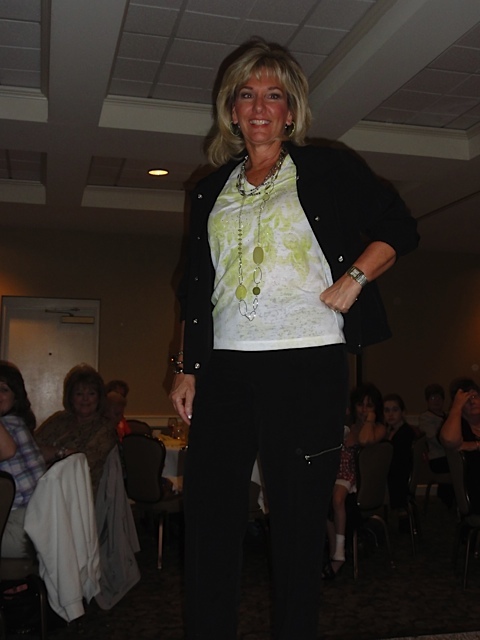 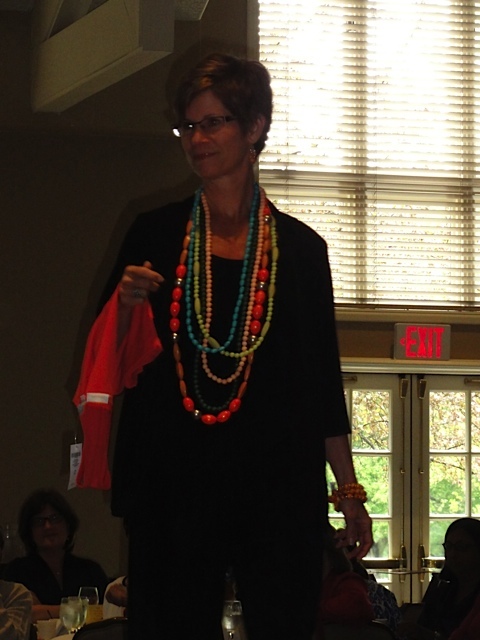 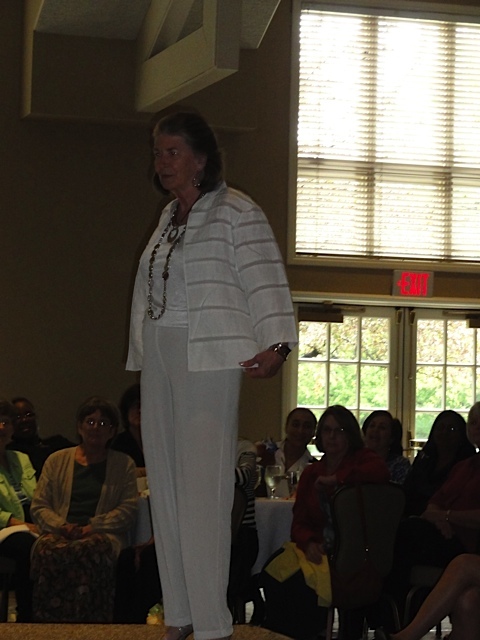 ALMC Member Jan Myers sporting Chico’s Zynergy active wear – looking fabulous! 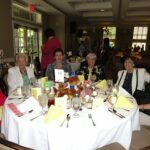 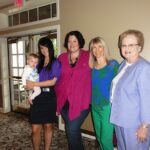 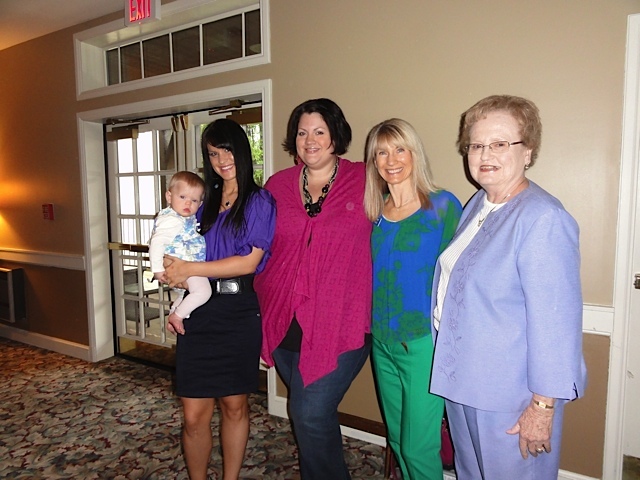 Four Generations of Guests: Baby Gia Rode, ALMC member Meredith Baker, Gia’s Mom Jessica Rode, ALMC philanthropic chairperson, Tammy Baker and her mom visiting for the luncheon, Barbara Blackford. 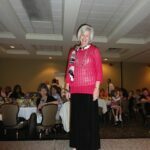 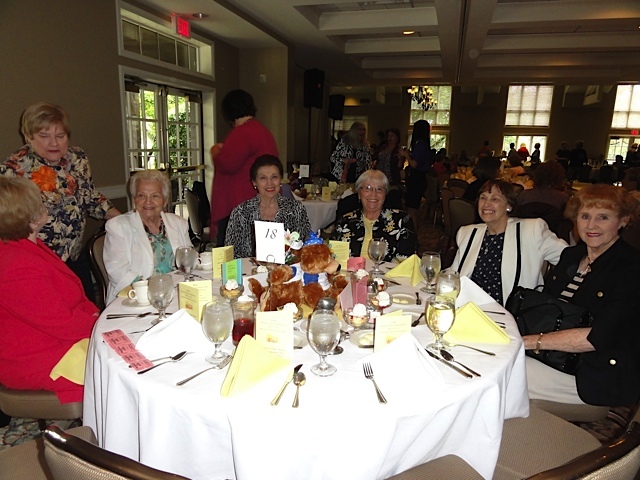 Veteran guests to our Spring Luncheon – thank you for your continued support! 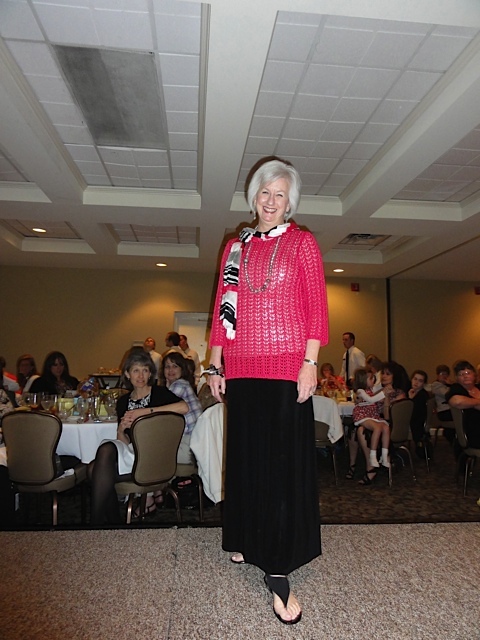 ALMC Member Joan Wilson – looking stunning in more of the basic black w/ pops of color and fabulous accents taking the sweater and basic skirt to whole new level. 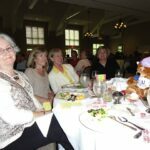 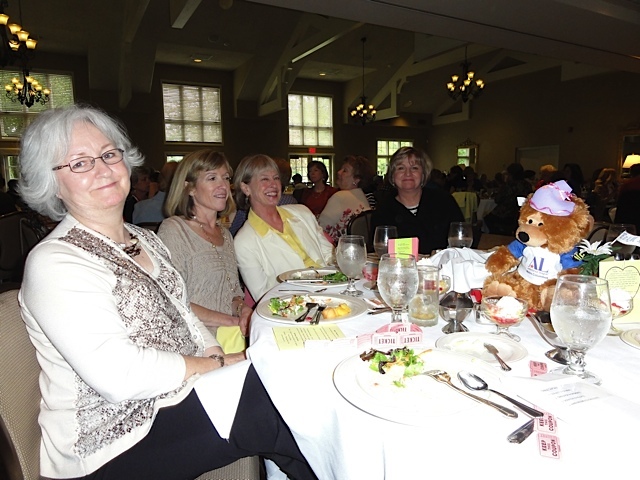 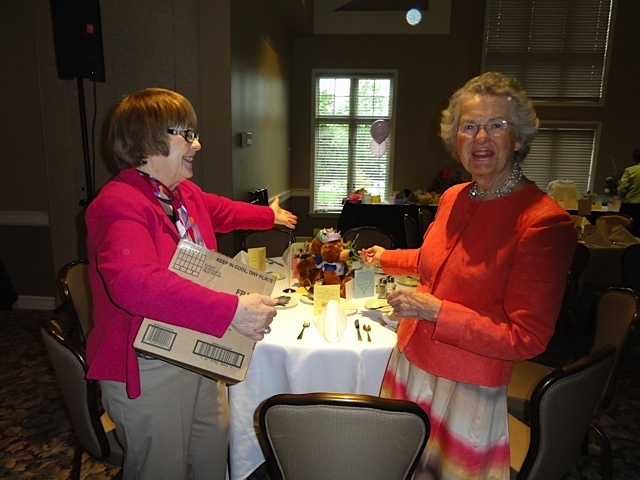 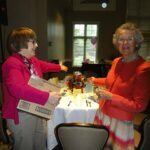 Members: Sylvia Nesslinger and Agnes Benedict (decorating committee) showing off their dressed up bears that were centerpieces for our Spring Luncheon! 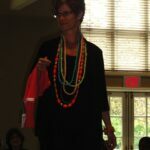 ALMC member, Sheri Scott in basic white travelers with added jewelry, cuff bracelets on both arms, layered necklaces and longer earrings, providing a stunning effect! 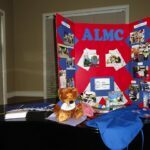 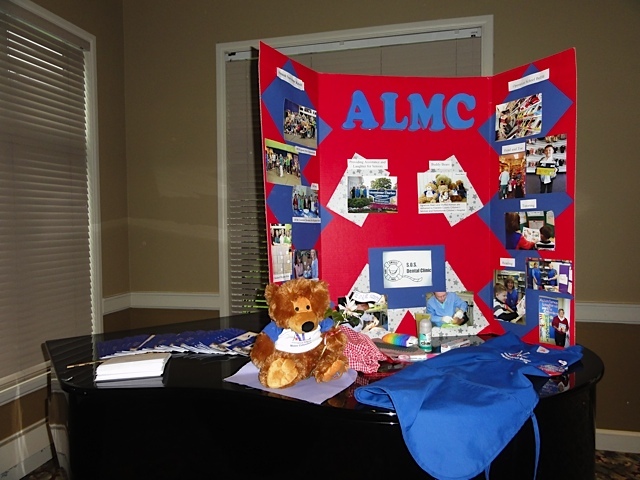 Our display table at our Spring Luncheon showing our guests some of what we are all about!